Attorney Gibson graduated from Suffolk University (2005) and earned her Juris Doctor degree from Suffolk University Law School (2016). While at Suffolk Law, Attorney Gibson was named to the Dean’s List and in her capacity as an SJC Rule 3:03 student attorney, Attorney Gibson worked for the Family Advocacy Clinic (2015 -2016) representing domestic violence survivors in various domestic matters. Prior to joining McGrath & Kane, Attorney Gibson served as a Judicial Law Clerk (2016 -2018) to the Justices of the Massachusetts Probate and Family Court serving the counties of Suffolk, Middlesex and Essex. During her time as a Judicial Law Clerk, Attorney Gibson worked on a variety of domestic relations, probate, and equity matters including those pertaining to prenuptial agreements, divorce, removal and alimony. Prior to graduating law school, Attorney Gibson was employed as a paralegal for a firm specializing in immigration law (2005-2014, and summer 2015). As a paralegal, Attorney Gibson was able to assist on complex immigration cases as well as help draft appeals to the United States Court of Appeals for the First Circuit. In addition, Attorney Gibson volunteers at the Suffolk Probate & Family Court Law Clinic, and Lawyer for the Day Program for the Middlesex Probate & Family Court. 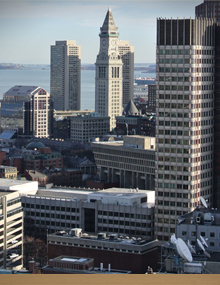 Attorney Gibson is a member of the Boston Bar Association and the Massachusetts Bar Association.